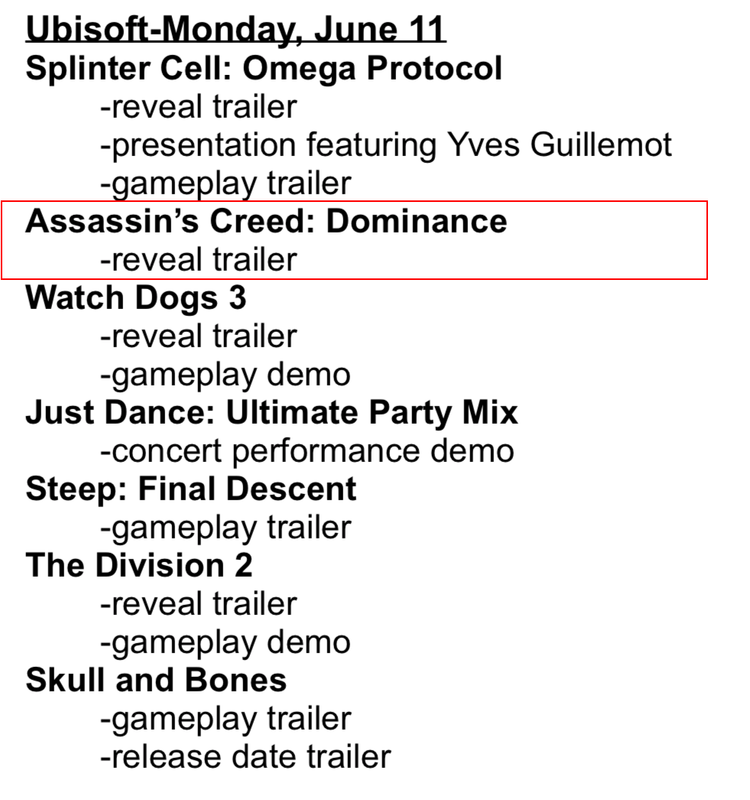 Images showing apparent E3 2018 Press Conference notes are circulating the internet, and suggest that Ubisoft will be announcing a new game titled "Assassin's Creed: Dominance" at the show, featuring a reveal trailer. This is the first mention of a game titled Domiance, as previous rumours speculated that the next entry will be titled either Odyssey or Dynasty. This draws in to question the nature of the game due to the ambigious title, which if real, could be a codename for the project. The information does not list the setting of the next game, but previous rumours have suggesting that it will be taking place in Ancient Greece. Please remember that this is just a rumour, and may not be real. The source of the information is currently unknown, leaving many to speculate the authenticity of the rumour. 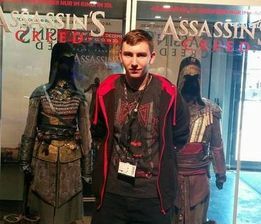 Do you think this could be a potential leak for E3, or is this fake information? What do you think about the rumour? E3 begins on the 12th June 2018. Stay tuned for more Assassin's Creed news!